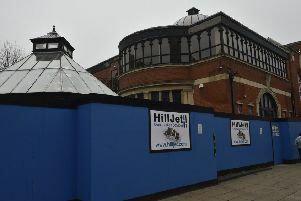 City centre restaurant Jimmy’s was in darkness last night after bailiffs acting on behalf of the building’s owners took possession and changed the locks. Notices can be seen on the doors of the self-serve Indian, Chinese, Mexican and Italian restaurant in New Road, Peterborough, from Parkinson Bailiff Services Ltd.
A “forfeiture notice” dated January 16 - addressed to Jimmy’s World Restaurants Ltd - informs the company that under the terms of the lease the premises had been entered and the lease “herby determined”. Any attempts to enter the premises, it states, will result in criminal/civil proceedings. PBS states it is acting on behalf of the landlord Aviva Life and Pensions UK Ltd.